When considering the importance of Bible study training, remember that your church members attend Sunday school or Bible study classes each and every week. This means that if you have 100 members attending a weekly Bible study, then your church will receive 5,200 hours of teaching each year. That's a significant amount of Bible study. Bible Study Training Tip: Information and Explanation are foundational to our teaching, but Transformation is the goal. How important is it that each of these hours significantly impacts each person's life? Are your members spiritually growing from each lesson or patiently enduring them? Often the answer to this question relates to whether or not the teachers have received some form of Bible study training. Since individuals are not born with the innate ability to teach transformational lessons, if you don't train them, they will do their best, but this usually does not result in life-altering lessons. The Georgia Baptist Convention identified the top 50 growing Sunday schools in their convention, then tried to determine commonalities between them. From this, they discovered that all but one of the Sunday school programs conducted regular Bible study training. Bruce Morrison comments on this in his article entitled, "The Value of Training Sunday School Teachers." Dr. W. Bradley Simon has put together the M28:20 teacher training series to make Bible study training easier and more effective. The series will show your teachers how to teach both the head and the heart using a step-by-step, biblically grounded, tested, and proven approach. They will learn how to improve their listeners' comprehension and understanding, but more importantly, they will learn how to help their listeners accept and obey the truth. As they learn to replace informational or educational lessons with life-altering, transformational ones, the impact of their teaching ministry will ripple from person to person to person, changing the spiritual maturity of your church. it's changing lives through the Word. Teaching to Transform Not Inform 1: Foundational Principles for Making an Informational Sunday School Lesson...TRANSFORMATIONAL. Teaching to Transform Not Inform 2: How to Teach a Transformational Sunday School Lesson...STEP-BY-STEP. The Teaching To Transform Not Inform series points out some of the most effective teaching principles you can use, why and when you should use them, and how they will impact your listeners. For example, in the second book in the series, you will discover the goal and purpose of seven of the most important teaching principles you should include in every lesson. 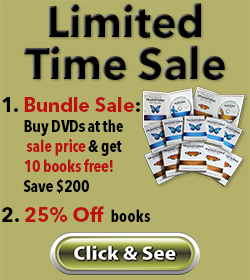 Visit our store to get a more detailed outline of the books and how they can help you in your Bible study training. Your teaching ministry is God's gift to you; committing to it and growing as a teacher through Bible study training is your gift to God. Most great teachers don't start as great teachers but develop over time through Bible study training. Help your teachers realize that we all have flaws and God uses us inspite of them. The Sticky Proverb is foundational to every lesson. Create a ripple that continues into eternity Connect the lesson's Visual Anchor and Sticky Proverb. 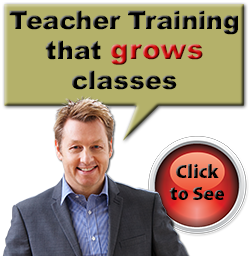 * "The Value of Training Sunday School Teachers"